Gold Medal Mortgage, Inc. Gold Medal Mortgage, Inc.
Searching for mortgage advice? We can help! Give us a call at 440-934-2100. Want to get started? Apply Now. When you're offered a "rate lock" from a lender, it means that you are guaranteed to keep a specific interest rate for a certain number of days while you work on the application process. 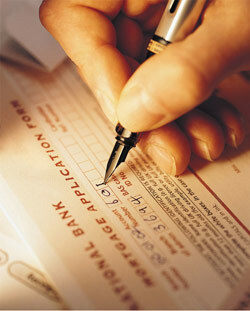 This ensures that your interest rate will not rise during the application process. In addition to opting for the shorter lock period, there are more ways you can get the best rate. The bigger down payment you make, the better the rate will be, since you will be starting with more equity. You might opt to pay points to reduce your interest rate for the life of the loan, meaning you pay more up front. For a lot of people, this is a good option..
At Gold Medal Mortgage, Inc., we answer questions about this process every day. Give us a call: 440-934-2100.